GUARANTEED WORK PLACEMENT either in our accountancy practice or with our clients. Each training session has a few candidates delivered in a friendly and relaxing environment, which gives candidates the opportunity to ask questions and raise issues freely. You can be assured that you will receive one to one individual attention from our team. 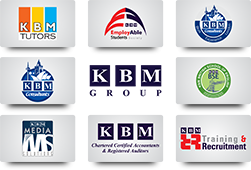 © 2017 KBM Media Solutions. All Rights Reserved.